Fantastic Furniture is Australia’s best value furniture store, with over 70 stores nationally. 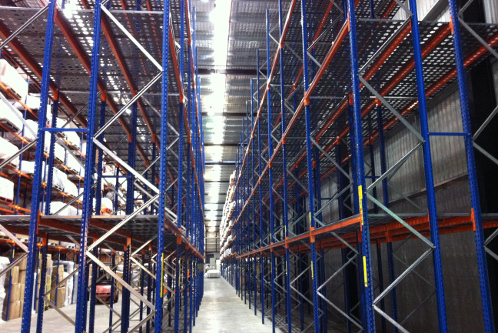 Fantastic Furniture are proud to design and manufacture many of products in Australia in two purpose built factories. 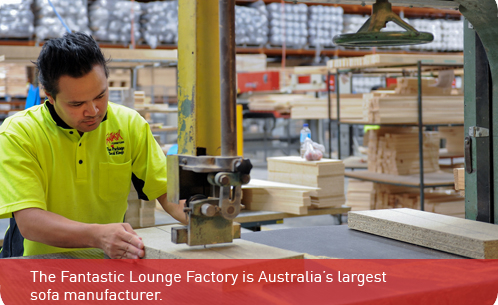 The Fantastic Lounge Factory currently produces over 40 different models in its 15,000m² purpose built facility at Fairfield East and dispatches on average 17 trucks per day or over 4000 trucks to a year to Fantastic Furniture retail stores across Australia. The first installation of it’s kind in Australia, MHE Solutions developed a custom made steel meshing decking system to cover the whole width of the racking. This enabled the Fantastic Lounge Factory to dramatically increase the lounge holding to multiple lounges per bay, as opposed to 1 lounge per pallet. Each year, FHL Distribution moves in excess of the equivalent of 18,000, 20 foot containers from suppliers located in Australia, China, Indonesia, Malaysia and Vietnam. The division also transports over 1.5 million pieces of furniture each year to over 110 retail stores nationally. From its main 21000m2 purpose built, award winning design distribution centre at Fairfield and a newer 29,000m2 shared facility in Clayton (VIC), FHL Distribution co-ordinates over 9000 truck movements to stores each year.